Puella Magi Madoka Magica is one of the few newer animes that I really enjoy, unfortunately for my wallet it also has extremely cute character designs that will translate into an endless array of figures and merchandise (including Pullips!). 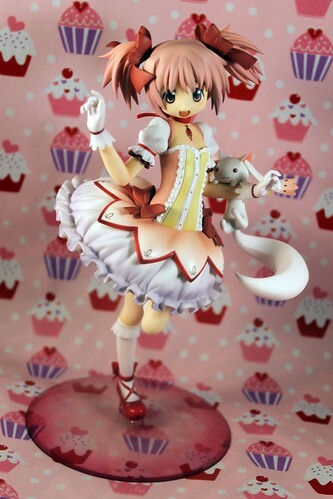 I admittedly kind of forgot about having preordered this Madoka figure until I saw the shipping notice for her from Playasia about a week ago, I really don’t preorder much anymore so it was surprising that I had somehow forgotten this adorable figure especially since I was so excited about it when it was announced. 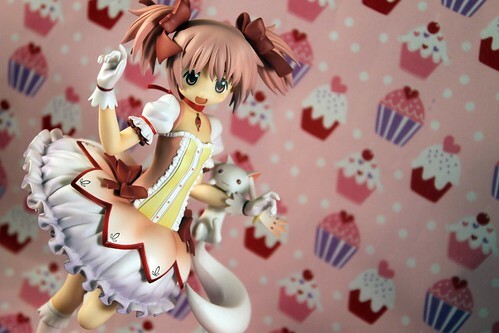 Madoka came in the mail today, since it’s been a while since I have blogged a new anime figure I decided to feature her. The quality of anime figures have certainly risen in the past several years, but the price has also risen significantly since the yen has strengthened so much in the past couple of years. I paid about $115 for this figure with shipping which is a lot but I have to say I would do it again in a heartbeat as she is just so adorable. 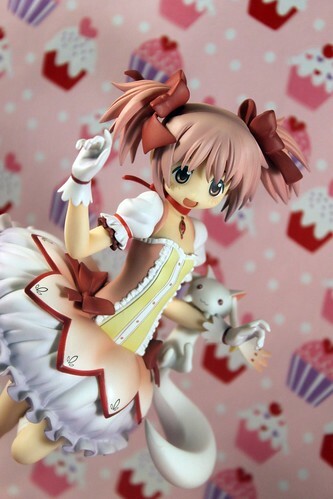 I think they nailed Madoka’s character perfectly in this figure, I absolutely adore her expression of pure joy! 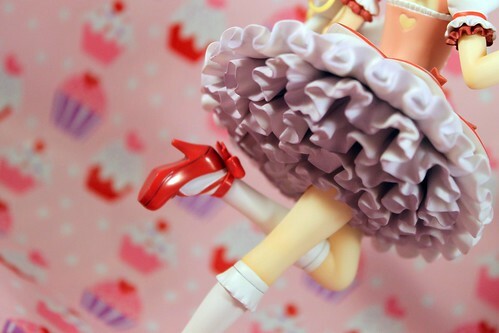 I was pretty impressed with the level of detail with this figure particularly with the underskirt frills . Couple more pictures of her on my flickr. 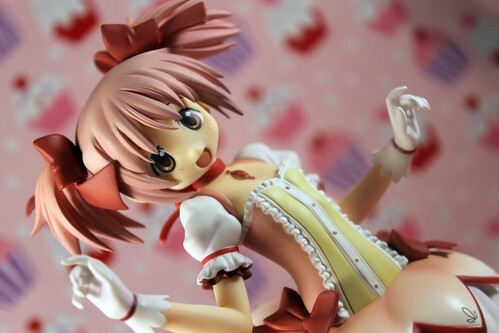 This entry was posted in anime figure and tagged anime figure, good smile company, madoka, madoka kaname, Puella Magi Madoka Magica. Bookmark the permalink. 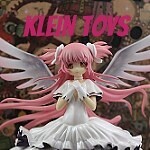 My sister has that figure but she got it for £17… Maybe it’s a knock off but it comes with kyubey, her weapon and a stand. Counterfeits of this figure do exist, some counterfeits these days can be very convincing and detailed. The yen exchange has become a lot kinder recently so it is possible she just managed to find a really good deal but most of the time when I see her pop up used she is at least $50.